A local Re/Max agent is facing one of the first lawsuits to stem from problems with Denver’s income-restricted home ownership program that were revealed this year. On Wednesday, Denver resident Jesse Berger sued agent Susan Brasel of Re/Max Alliance-DTC, alleging she breached her contract by failing to provide notice of the terms of the 2012 sale of Berger’s home to the city. 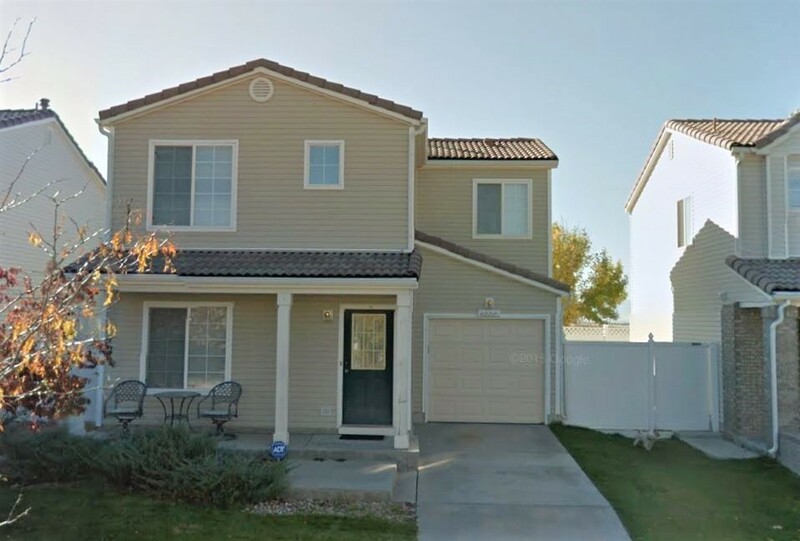 Berger’s former home at 4393 Andes St. in Green Valley Ranch is one of some 1,300 for-sale residential units in the city with deeds that restrict, based on income, who can purchase the property, part of a city program intended to increase the amount of affordable housing. The city said earlier this year that as many as 306 homes could be breaking at least one covenant rule, and that some had been sold to individuals that didn’t meet the income restrictions. Berger alleges that, as a result of Brasel’s actions, he ended up selling his home to a woman whose income was too high to qualify. He said the city has told him he owes money for the violations. Reached by phone Friday, Brasel told a reporter to speak to her attorney, who did not respond to a request for comment. Berger is represented by Denver attorneys LuAnn Ott Jilot, who did not respond to a request for comment, and Richard L. Ott. The lawsuit filed last week, however, says owners of income-restricted homes and their agents are required to notify the city of a planned sale “within 3 business days after the execution of an agreement to transfer,” but that no one did so in Berger’s case. The lawsuit says Brasel and Re/Max Alliance-DTC, which also is named as a defendant, were aware of the covenant restrictions regarding the home but failed to act on them. The lawsuit claims that the woman who bought the home from Berger said she did not know the property was restricted, and that her income was not low enough to qualify at the time of her purchase. The woman now wants to sell the home for market value, according to the lawsuit. The lawsuit said Berger has been told by the city that “fees and costs are required of him,” but does not detail the amount. A spokesman for the city’s Office of Economic Development was unable to immediately provide more information on the alleged costs Friday afternoon. Berger’s lawsuit appears to be the second related to the program’s problems. In late September, Marvin Randell and Patricia Taylor-Randell, the owner of 4357 Andes St. — another home with restrictions — sued the city, the previous owners of the home, Re/Max Unlimited, Your Castle Real Estate Inc and Land Title Guarantee Co. The pair purchased the home in June 2014 for $210,000, according to records. They allege that no one informed them of restrictions on the home leading up to their purchase or for years afterward. Denver attorney Joseph G. Webb represents the pair. He said the defendants were served last week. Contacted by BusinessDen last week, Robert McGough, a Denver attorney representing about a dozen people affected by the situation, said he was unaware of any other lawsuits related to the problems. He said he has not filed any lawsuits on behalf of clients, and continues to focus on negotiating with the city. McGough said he represented Cynthia Nixon, the woman who bought Berger’s home, and she is not trying to sell the home for market value, contrary to the claim in Berger’s lawsuit. Derek Woodbury, the spokesman for the city’s Office of Economic Development, said Friday that, of the approximately 306 homes the office previously said were potentially out of compliance, 134 of them since have become compliant. In October, Denver City Council approved a bill that allows individuals who purchased a home they weren’t qualified for to stay in the home indefinitely, on the condition they comply with the restrictions when they ultimately sell. Still, that could lead to significant losses for some who purchased the home at market rate, as opposed to a price reflecting the maximum 5 percent-a-year increase. 3 Comments on "Lawsuits start flying stemming from city’s affordable housing mess"
they’re in the pockets of developers and they’re just plain incompetent. I’m confused — why is the previous seller suing? What damages is he trying to collect? Hi, Ronald. Reporter here. Thanks for reading. The lawsuit prompts some natural questions, and unfortunately the plaintiff’s attorneys did not get back to me when I tried to get those answered. Best I can tell: The suits claims that the city has told the plaintiff he owes some (unspecified) amount of money for failing to provide the city with notice of the planned sale back in 2012, so it appears the plaintiff is at least looking to be compensated for that amount.